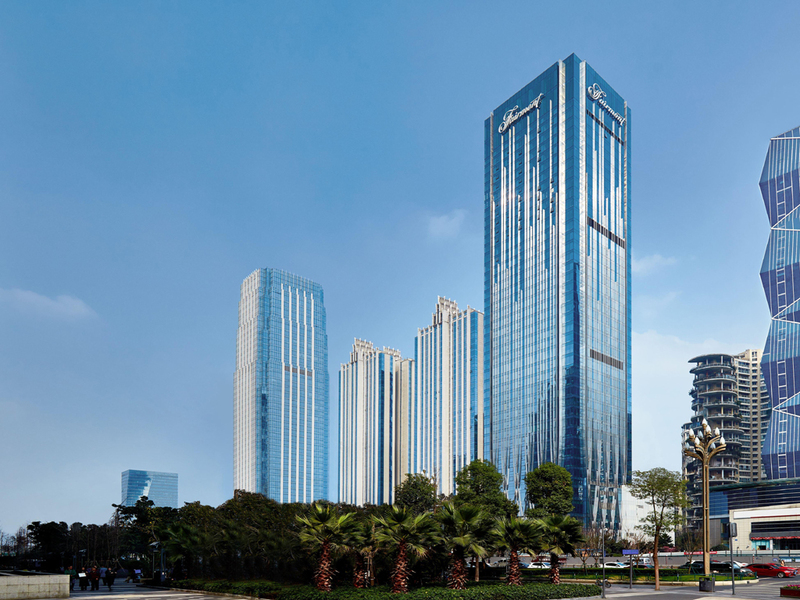 Fairmont Chengdu is located in the heart of Tianfu New Area and Chengdu Hi-tech Zone, and is adjacent to the Century City New International Convention and Exhibition Center and Tianfu Software Park. The hotel is only a 20-minute drive from the Chengdu Shuangliu International Airport and conveniently connected above the Century City metro station. Fairmont Chengdu owns the perfect location at the heart of Tianfu New Area and Hi-tech Zone. It is surrounded by the diverse companies and properties in the Southeast China. Walking distance to the Software Park and Hi-Tech Industrial Development Zone. The hotel is situated in the South of Chengdu and features 336 rooms, including 52 rooms and suites on Fairmont Gold, Fairmonts executive floor and hotel within a hotel. Guest rooms start from 484 sq.ft. (45m²), with modern interior design, elegant decor. Spectrum offers a tempting array of Asian and Western cuisines served throughout the day at the main Lobby level. Select from our fresh and vibrant à la carte menu and open-kitchen stations for noodles, Sichuan cuisine and international dishes. Chang Yi is a contemporary Chinese restaurant inspired by the world of art. Each dish prepared by our Chinese Master Chef, is an ARTISTIC culinary interpretation of the elements relating to the landscape, lifestyle and culture in the SICHUAN province. Cube combines a lobby lounge and a cocktail bar into an integrated space over two levels of unique architectural design. It is an ideal venue for social activities and private salons.